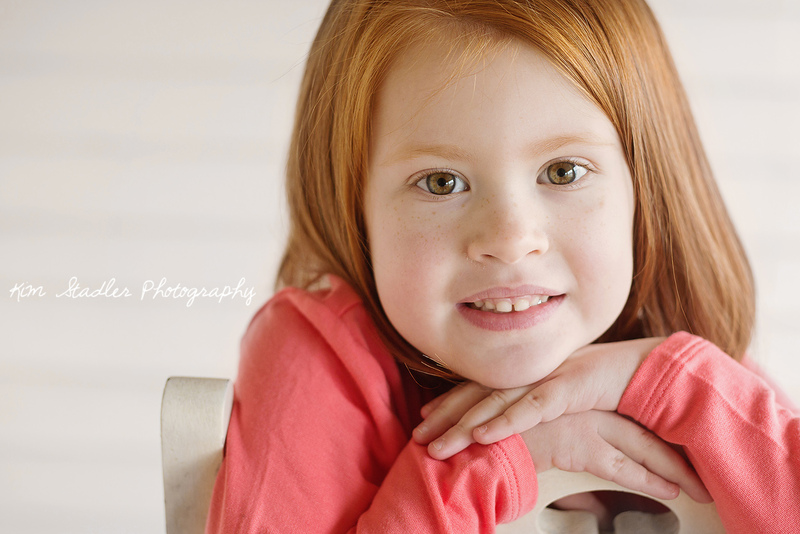 Addison's yearly birthday portraits were a lot of fun this year! Definitely a different twist from last year. 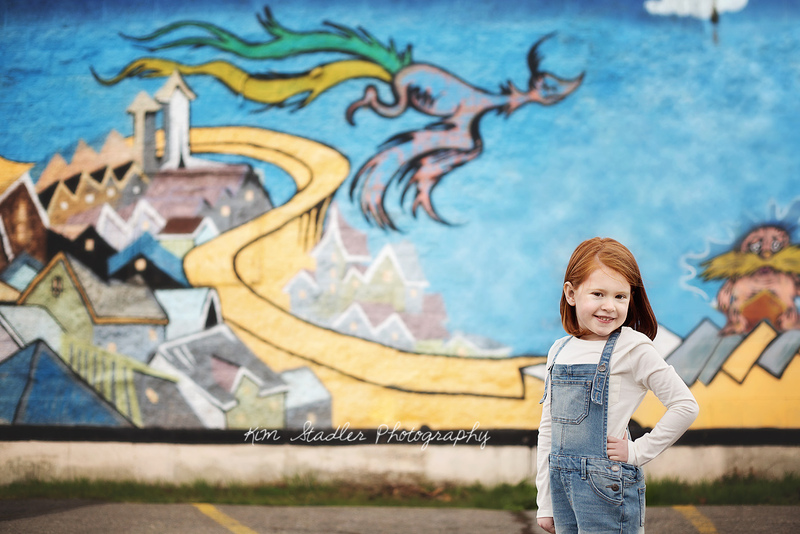 This little girl is so cute and so sweet and since I photograph her a few times a year it was fun to do something a little different than normal. 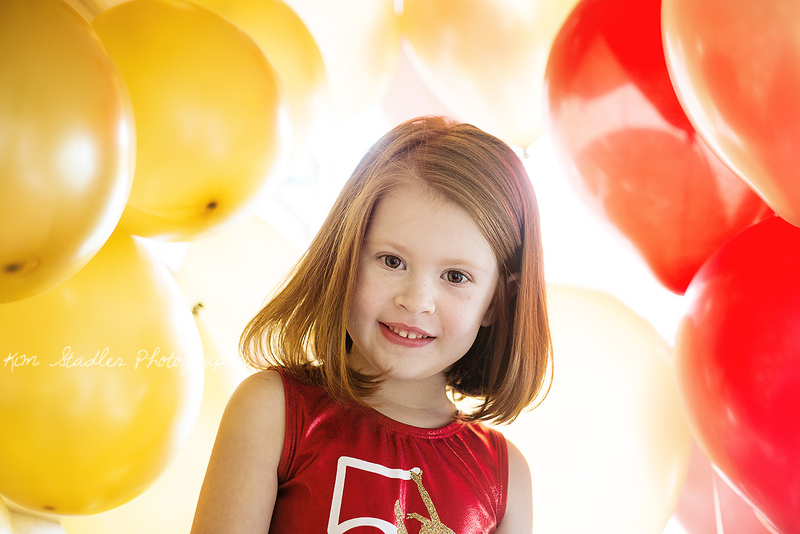 Her mom and I fully embraced this whole 5 business in part because the weather just would cooperate so we turned my sun-room into a studio and went crazy with balloons in Addison's favorite colors. And her newfound love for The Greatest Showman movie inspired her outfit. 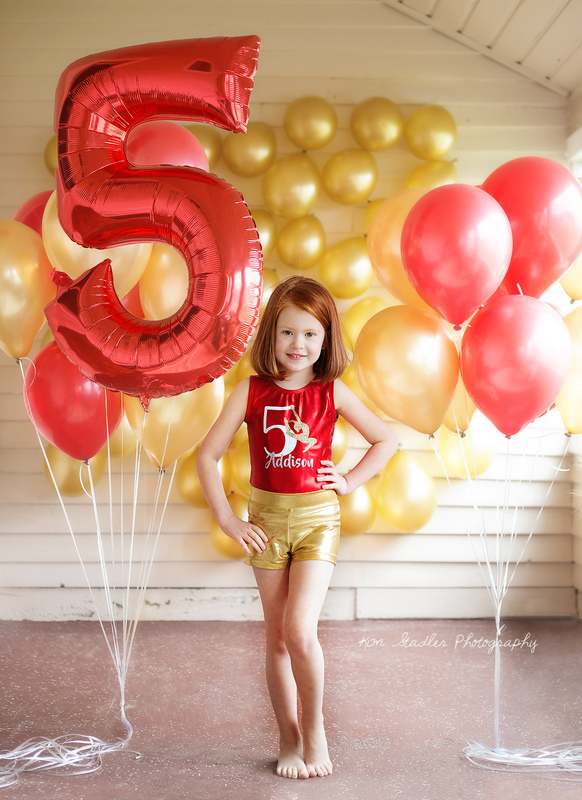 I thought it was all pretty perfect for 5th birthday photos! 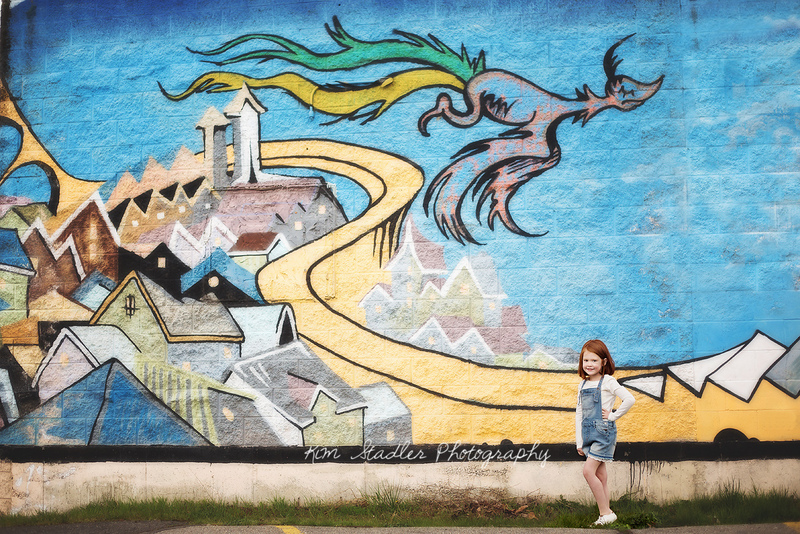 And of course since we had given up on outdoor pictures the rain decided to give us a break for a couple hours so we ran over to one of my favorite graffiti walls in town. The Lorax is her favorite Dr. Seuss book (mine too) so this was definately meant to be. 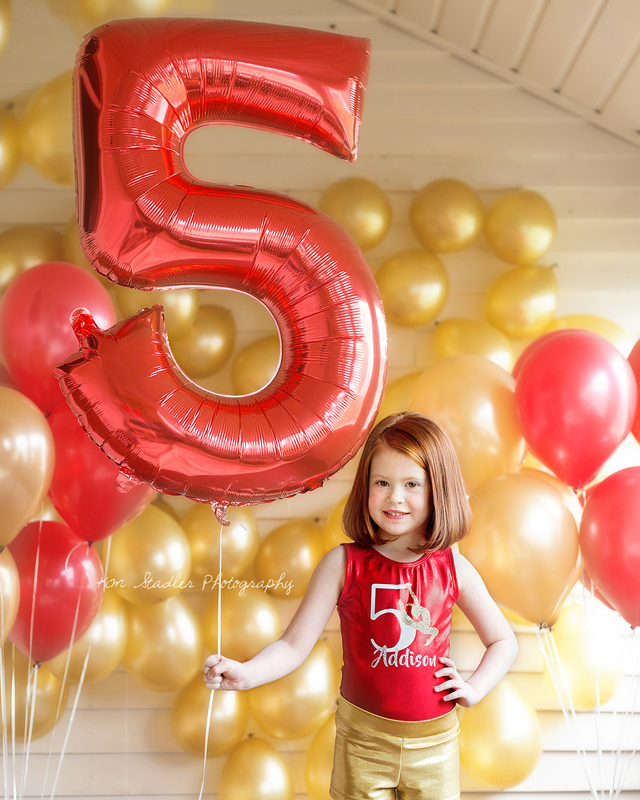 If I were turning 5 I think this would be just about how I would want to do things! 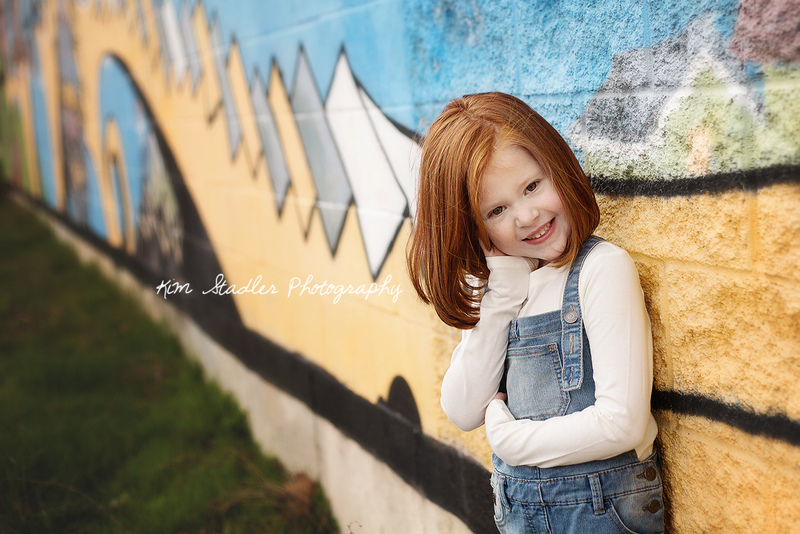 And in the process I got a fun filled afternoon with this sweet girl and her equally sweet mom! Thank you so much for giving Kim Stadler Photography the opportunity to photograph these special occasions and miles stones for you! 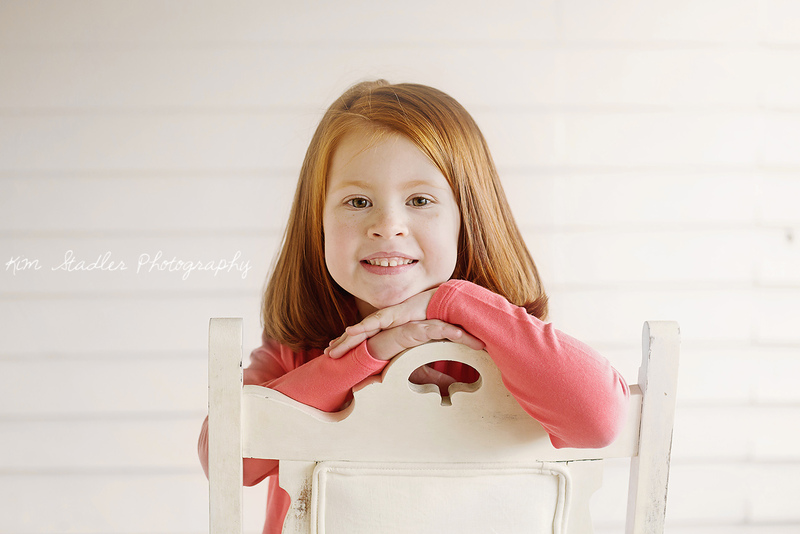 Can't wait to see what her 6 year portraits hold, and I already have ideas!! !